If you haven't read the previous blogpost on skin care, I mentioned that 2016 will be the year of skincare! This time, I decided to try various Korean and Japanese skin care products. I've been searching for products that could help revitalize my skin. 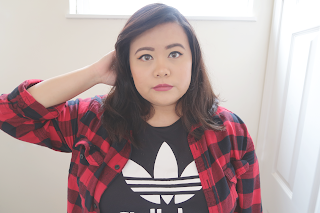 After watching skincare tutorials from my favorite beauty guru's on Youtube, I compiled a list of products that I wanted to try out for myself! 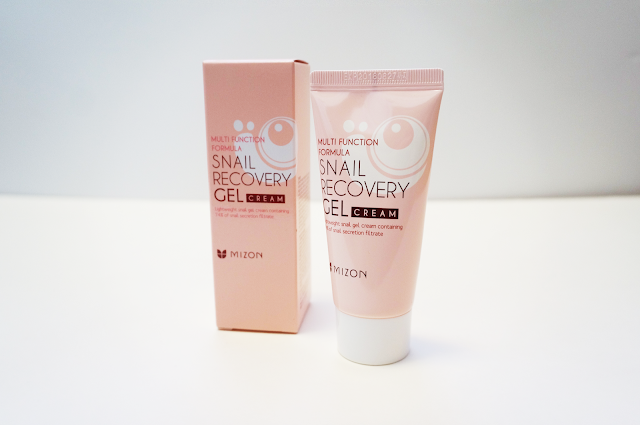 This is Mizon's Snail Recovery Gel Cream. 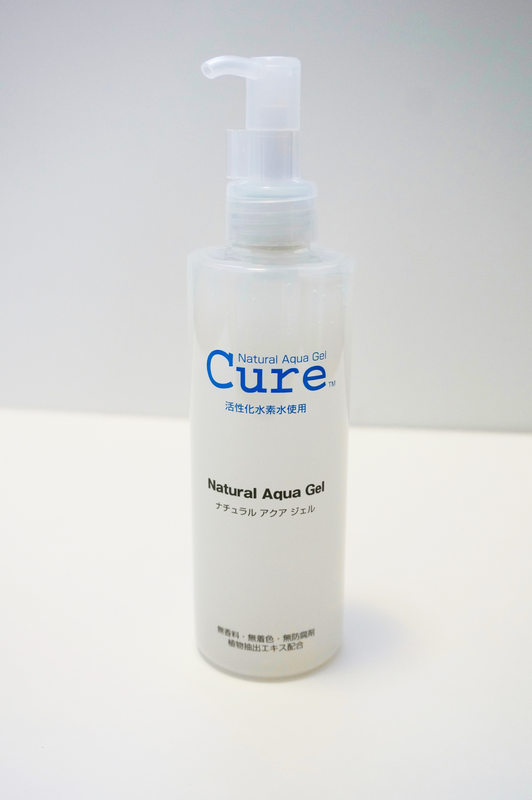 It is made up of filtered snail secretion. I know, it sounds kind of scary? From what I've read online, the snail secretion acts sort of like a serum. It has some kind of healing properties that is supposed to help heal scaring and prevent dry skin. At first I was a little bit grossed out at the idea of applying snail secretion to my face. (I'm not a big fan of snails!) However, this product is very enjoyable! It's easy to spread across the skin and hasn't caused me to break out. I feel like my irritated red skin feels a little bit more calm with the product on. Also, I am super happy that this product doesn't have a strong smell! (It doesn't smell like anything to me!) I am remaining hopeful to find more research on the benefits of snail secretion on skin! 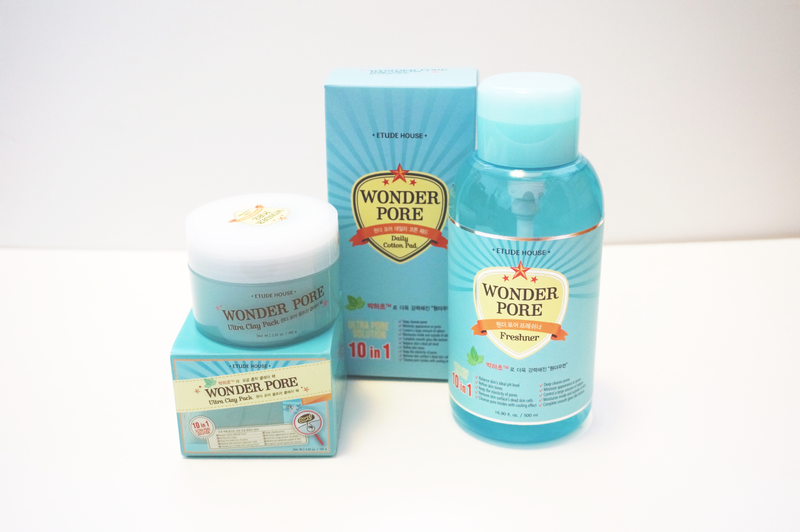 This Wonder Pore toner is slowly becoming my favorite purchase of this bunch! After using this product, my skin feels fresh and clean. I really like the dispenser pump! It prevents you from over pouring the product. A few pumps is all you need to cover your entire face. Personally, I believe this product has shrunk my pores. Although, not drastically. I still have pores all along my face, but I believe they are smaller because of this product. I was a little bit disappointed that the plastic box that housed the toner and cotton pads came slightly damaged. There was a crack in the plastic and it seemed like someone hastily stuck a piece of tape to keep the box together. Also the outer box was a little bit sticky. It made me wonder how long the product has been sitting on a shelf somewhere. But packaging aside, the toner and cotton pads were NOT damaged in any way. -smells like seaweed to me? I am enjoying this clay mask! I apply it on to my face, wait for it to dry, and then remove it in the shower. It feels very therapeutic! I like that it doesn't take too long to dry and it is easy to remove. I have used clay masks in the past that stick really tightly to the skin causing irritation. However, this mask doesn't cause any irritation to my skin. Although being a clay mask, it isn't messy at all! This product does have a few draw backs. It comes with a hygienic applicator stick (so you don't need to stick your fingers into the pot). However, I wish that the stick could've been a little bit smaller so it could fit inside of the jar. I have no where to keep the applicator and I worry about losing it. Also, the product smells like seaweed to me. Personally, I am not a big fan of anything that smells like the ocean. I am a bit sensitive to smells. -WOW so many dead skin cells! -am I using this product correctly? I am having mixed feelings about Cure's Natural Aqua Gel. I like that this product is exfoliating my skin. (You can clearly see the dead skin cells coming off!) However, I look back at the price and I wonder if it is worth it. My skin feels exfoliated but I fear getting this product in my eye. I see what it does to dead skin cells, if I get any in my eye, will I go blind?? Also the texture of the exfoliator isn't a gel consistency. It's very watery! Sometimes I wonder if I am using the product correctly. Overall, I like the way that this product works, but I question the price and usage.